Social media, blog and website strategy revolve around one magic word that everyone knows, everyone fears, but no one completely understands: SEO. Search engine optimization is the sweet spot for any online marketplace; top listing on any one of the major platforms can be the difference between market share and a slow painful death into non-existence. Developing a consistent message across the countless directories and online avenues that propel data to top search engines and organic search results is a tedious and complex task, especially for companies with multiple brands, locations and customer-facing departments. Even the most intelligent SEO specialists and exceptionally talented teams are constantly challenged to remain agile and vigilant, waiting to pounce on new information that might (read: MIGHT) charge your company ahead of the competition. How do you know if your efforts to optimize your online presence are working effectively? How do you know if your brand message is consistently replicated to the “ends of the internet” and beyond? Collectively, we often feel as if we are working against the stream, with constantly changing algorithms, new platforms and limitless directories ebbing and flowing like a strong current that keeps the waters constantly churning, with no clear causeway in sight. There are several available SEO tools that can clear the tepid waters of online local listings and report on your brand’s standing so that you can develop a crystal clear stream of awareness when evaluating your company’s efforts to connect directly to your customer base. SEO tools can serve as an invaluable resource and confirmation that your business is well-staged to be found by interested consumers time and time again. Consider implementing one of these powerful tools to elevate your go-to-market strategies and keep your business at the head of the pack. 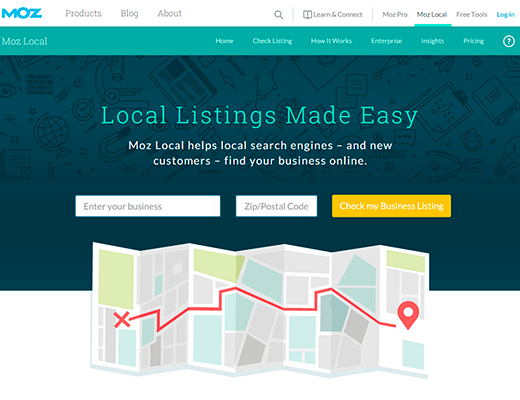 Moz Local markets themselves as “local listings made easy.” With just a few simple steps, Moz can monitor your company lists, pushing data to all major data aggregators and a wealth of respected online directions to make sure search engines can find your company so that your customers can find you. For as low as $84/year per listing, or with enterprise level options that can manage hundreds, even thousands of locations and listings, Moz can identify and correct inaccuracies, prompt you to suppress or close duplicate entries, and highlight other discrepancies that are hampering your company’s ability to be found on Google. Getting started is as simple as uploading a .CSV file in Google My Business Listings format and watching Moz get to work. Moz prides themselves on correct, consistent and visible data, with transparent reporting that monitors the reach and accuracy of your lists across both the U.S. (Neustar Localeze, Acxiom, Infogroup, Foursquare, and Factual) and U.K. (Central Index, ThompsonLocal, Foursquare and Factual) local search engines. If you’re looking for a powerful tool with easy-to-understand reports and simple directions to get started, Moz may be the perfect tool for you. Whitespark Local Citation Finder is a powerful team of tools that can revolutionize how you engage with your customers, collect data and maximize opportunities to improve your search rankings. With small business options starting as low as $16.67/month running up to top tier SEO Enterprise packages at $100/month, Whitespark goes far beyond simple citations and listings, taking your SEO one step further by organizing your efforts and offering creative ways to monitor your customer’s activity. 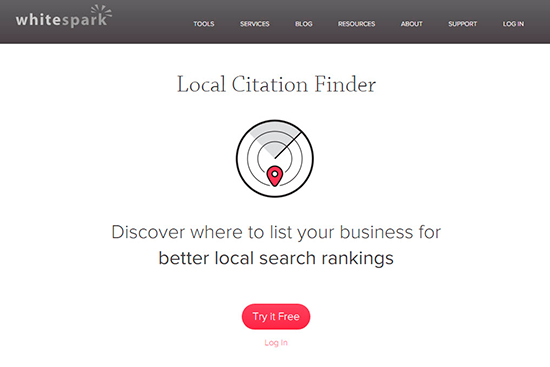 The local citation finder is designed to discover where you need to list your business to improve your local search rankings. Simply search relevant keyword phrases for your industry and watch an average of 545 citation sources per keyphrase pop up from top ranking sites. Organize citations into projects, track your progress and mark jobs as complete. Supported by 45 countries, easily export information, monitor citations and review competitive analysis and comparison reports to keep your company staged for top notch SEO. Reputation builder – Acquire customer feedback, online reviews and testimonials to propel your business forward with positivity. Local rank tracker – Monitor local and organic search ranking by city for big picture analysis. Link prospector – Discover creative link opportunities for guest blogs, expert interviews, directories, sponsorships, giveaways and reviews. Review handout generator – Free customized, printable instructions to give your customers with step-by-step directions for leaving Google reviews. Offline conversion tracker – Capture statistics and analytics from your customers letting you know how they heard about your business. Google maps to google+ bookmarklet – Create a one-click path from Google maps to your Google+ business page. Want a one-stop shop with every resource your business will ever need to attend to every detail for SEO? Local SEO Checklist is your new best friend. With almost 40 different options detailing specific tasks that you need to move through to optimize your business online, improve your ranking by developing your blog, social media, title tags, URLs and more. Mark each item on your checklist complete once you’ve staged your company for top ranking and you’re sure to reap maximum benefits knowing you have dotted all of your SEO i’s and crossed all of your SEO t’s. BrightLocal offers a collection of 7 tools that work together to improve your local search rankings. A great option for companies looking to explore SEO tools thoroughly before committing to a plan, BrightLocal offers hassle-free use, with a free 30-day trial and options to cancel at any time without penalty. With small business plans ranging from $19.99/month to larger enterprise and custom plans beginning at $64.99/month, you can test the plan that works best for your business or businesses without the threat of signing a contract. Local search rank checker/local SEO checkup – Compare rankings from any location against your competition and track organic, local and map rankings on the three major search engines – Google, Yahoo & Bing. Develop unique on-the-spot SEO audits for prospects and client meetings. CitationTracker/citationburst – See where your competitors are listed, monitor your citations and identify where you have left gaps in your listings, duplicated content or missed being listed altogether. For $2 per directory, have your business submitted to over 1600 top directories. Google+ local wizard – Review the shortcomings of your Google+ business page so that you can make critical improvements to optimize your ranking within Google. ReviewBiz/reviewflow – Monitor your online reviews, offering resolution to negative feedback and gratitude to positive mentions. Create a badge for your site encouraging new visitors to explore your positive profiles and opening a direct avenue for current clients to submit new reviews. SEOProfiler markets their arsenal of tools as “your complete SEO software solution.” Focused specifically on Google guidelines, SEOProfiler showcases a variety of bells and whistles that work together to create a big picture overhaul of your SEO. Add well-developed integrations with Twitter, Google Analytics and more, and you have a powerful tool that can track results and report on your competition intelligently. 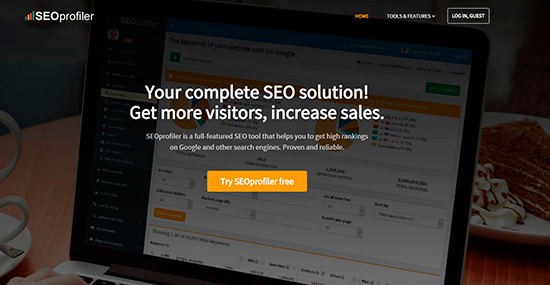 The most expensive option, starting at $49.95/month and growing up to $999.95/month, SEOProfiler does offer a $1 for 1 month special option and a no-questions-asked money-back-guarantee. With unique resources like the website audit tool, customizable PDF reports (designed for your brand with no reference to the SEOProfiler software as the creator) and website page optimization, you can explore every avenue of your SEO and respond confidently and thoughtfully to immediately improve your local search rankings. A FREE option that claims to be the “one software that rules them all” and “the only platform that monitors over 500 different local websites and networks,” Synup keeps it simple and exceptionally affordable to gather valuable SEO intel. Manage your local listings (crawl, claim, create, fix), monitor your reviews, track your rankings and design creative reports that give you a strong foundation to understanding how and where to improve your SEO. BONUS: Synup has an incredibly resourceful blog, rich with insight and rock solid information. 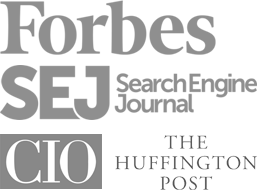 Even if you don’t choose Synup as your final option for SEO research and reporting, be sure to subscribe to their blog to stay in the know! Do you know how your business ranks online? There are too many powerful tools available to overlook SEO in your business marketing strategy. You’re able to gather valuable insight, develop a stronger voice and monitor progress whether your budget is minimal (non-existent) or maximal. Putting systems in place that track your weak spots is an investment into your business’ present and future success that should pay exponential returns as your company moves one step closer to SEO that propels your brand to the top of the search engines. These tools are able to confirm where your SEO efforts are on track, where they’ve gone amiss and where they are missing altogether. This critical information is priceless – providing direction, feedback and future planning that will be crucial as your business works to expand your reach and grow your bottom line.